This item is Out of Stock. Please see our line of available Gummy Candy here! 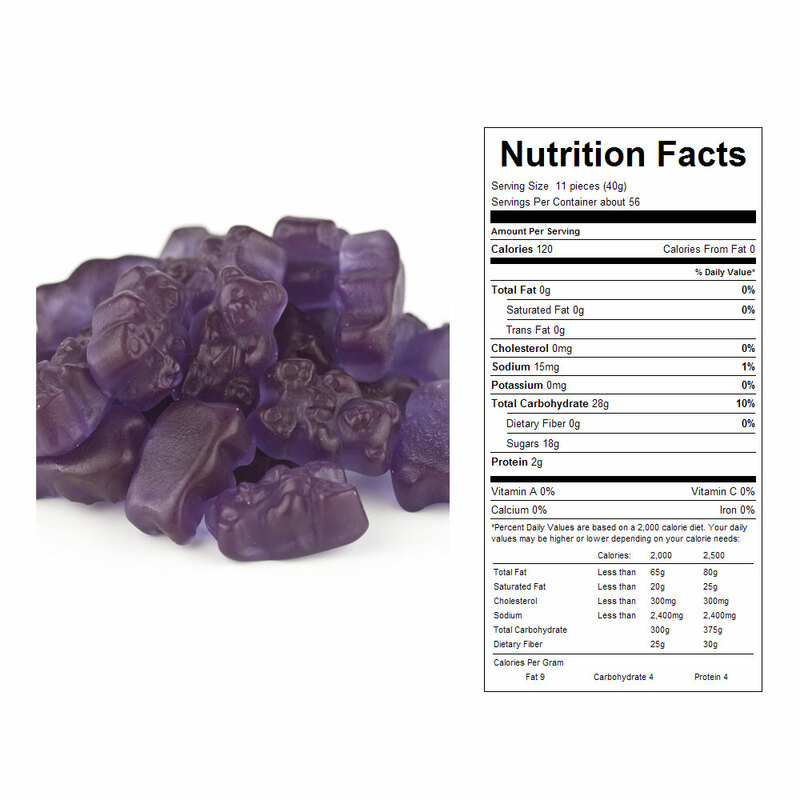 4 - 5 pound bags of Grape Gummy Bears. 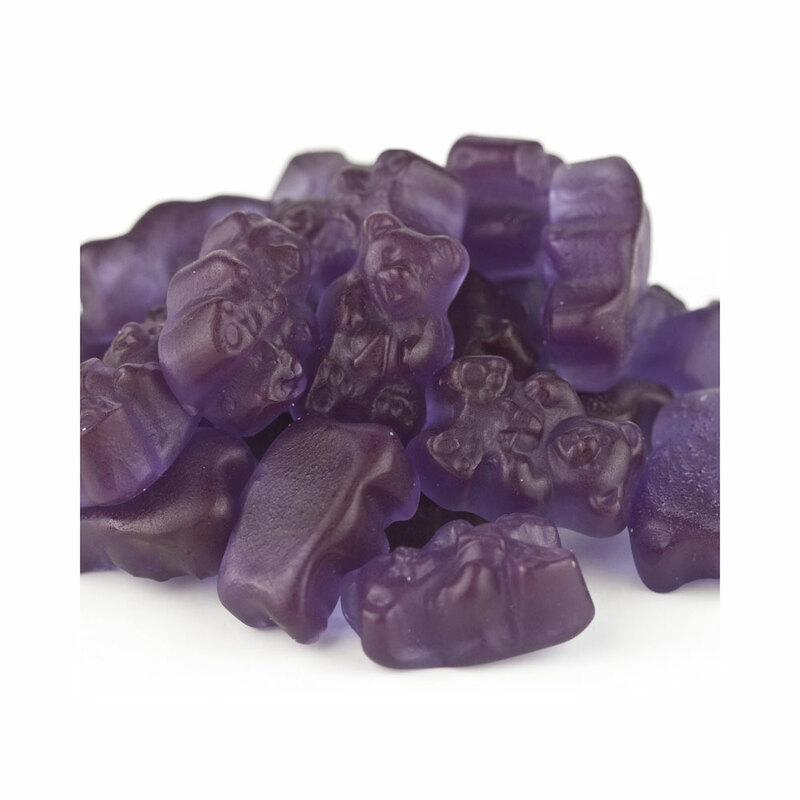 These Gummy Bears are grape flavored only, perfect treat for a spring or summer day. Offer them in a candy buffet, at a birthday party, or keep them for yourself! These candies come packaged inside a box, and are sold at a wholesale price! Corn Syrup (From Corn), Sugar (From Beets), Water, Gelatin, Citric Acid, Natural Flavor, Pectin (Derived from Fruit), Vegetable Oil (Coconut, Canola) and Carnauba Leaf Wax (To Prevent Sticking), FD&C Red #40, FD&C Blue #1.